and I'm pretty happy with the outcome. chunky low-heel suede pump. 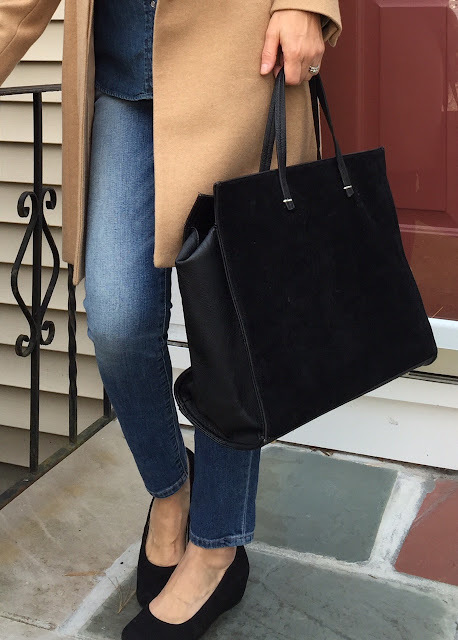 I also added a coordinating suede tote to balance things out. The fur collar gives the outfit interest and a bit of sophistication. 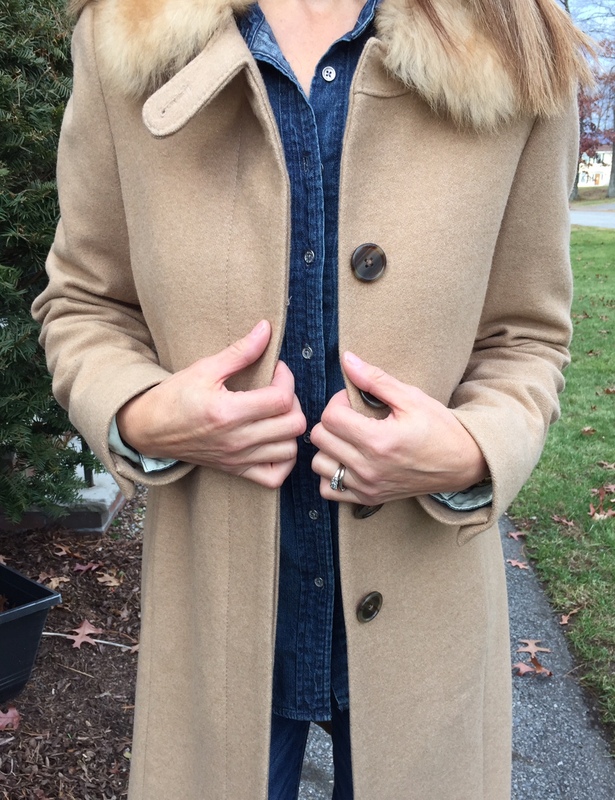 I've had this coat for about 7 years and fur trim never goes out of style. Oh geesh, I just noticed an empty flower pot in the background...don't look. So pull your dressy coat out of the closet and start wearing it more often. If you don't have anything with fur trim, here are some ideas. Beautiful coat! It looks amazing with the denim on denim outfit!